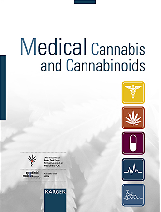 In a study at the Clinic Montana (Switzerland) under the guidance of Dr. Claude Vaney the effects of capsulated cannabis extract in 57 patients with multiple sclerosis were investigated. In a crossover design one half of the patients received a placebo first and then the extract, while the other half received cannabis first. The dose was adjusted according to individual tolerance. The maximal daily doses ranged from 7.5 to 30 mg THC. Muscle tone assessed with the Ashworth Scale was not significantly influenced by cannabis compared to placebo. However, subjectively the number of muscle spasms and the intensity of spasticity were reduced. Mobility as measured with the Rivermead-Mobility-Index (RMI) was improved with cannabis. Sleep was not significantly influenced. In general, the medication was tolerated well. 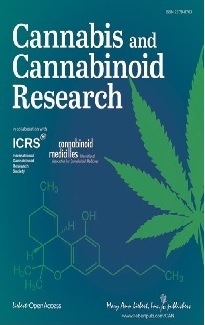 Cognitive and motor performance were not significantly influenced by the cannabis medication. A detailed publication is under preparation. A large majority of legislators in the parliament's lower chamber said on 8 April that they will support a government-backed bill to let doctors prescribe cannabis. The bill also needs approval by the Senate, expected later this year. If it is passed, two growers selected and controlled by the government will produce the cannabis. Members of parliament from the three government coalition partners and the two largest opposition parties said that they would approve the bill. Health Ministry spokesman Bas Kuik said cannabis for medicinal purposes will probably be available in drugstores within a year or so.